Be prepared... for an adventure. Step into a world of natural wonder that excites imagination, story-telling, and is a perfect environment to engage in learning and growing. We offer opportunities for your scouts to grow in their skills while engaging in nature. Many of our attractions were built with the desire to teach young people how to problem solve with their friends and family. 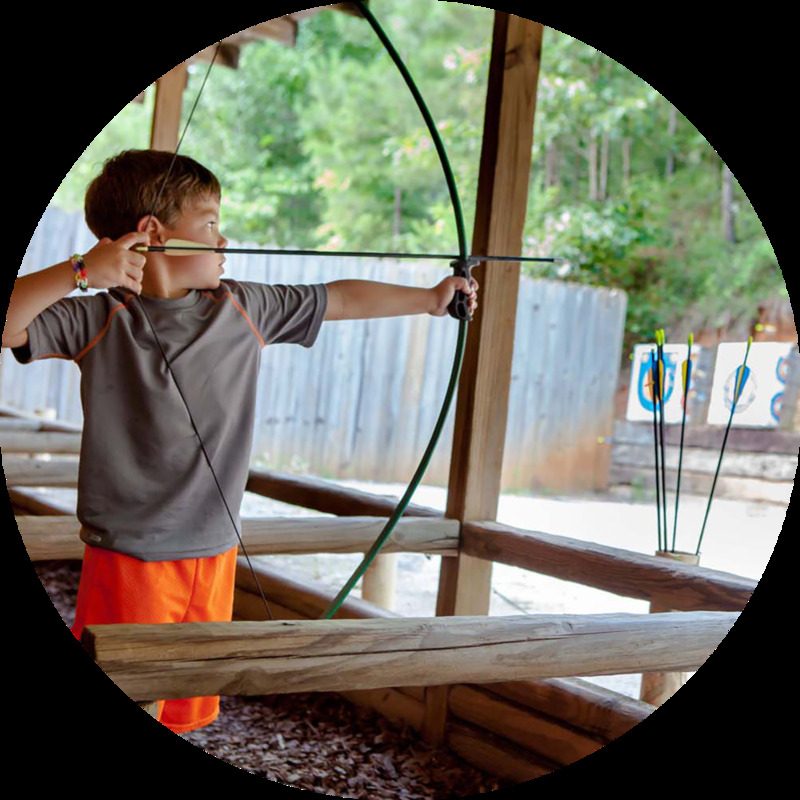 Have your scouts work together to find their way out of our three quarter acre maze, or they can pan for gem stones like the old prospectors of the 1900s, or practice archery at our bow and arrow shoot! We recommend taking your group on the greatest adventure: our overnight in the caverns! This is our most popular choice for scouting groups! For those groups seeking something beyond the ordinary, look no further than an overnight stay in the majestic DeSoto Caverns. Many have camped, but few can say they've camped in the depths of the earth. This is one of the greatest camping experiences as it maximizes your capacity to enjoy the wonder and experience the beauty of the caverns' sounds people have enjoyed for thousands of years. Our cave is sixty degrees year round which also makes it a temperate environment to enjoy your stay. We guarantee a night unlike any other. If your group doesn't have the availability to spend the night in the caverns, we have plenty of options for dynamic fun! Our attractions encourage bravery, teamwork, and fun! See your scouts come alive as they engage in archery, water balloon battles, a traverse wall climb, a 3/4 acre maze, and more! *Only available in June & July, during the weekends in August, September, & October, and during local spring breaks.